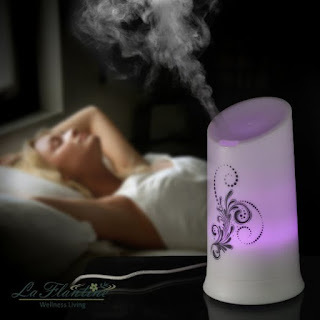 The LaFlantine is Aroma Diffuser and Ionizer together that, using Advanced Ultrasonic Technology, instantly releases molecules of mixture pure essential oil and water into the air for increasing physical and mental well-being. 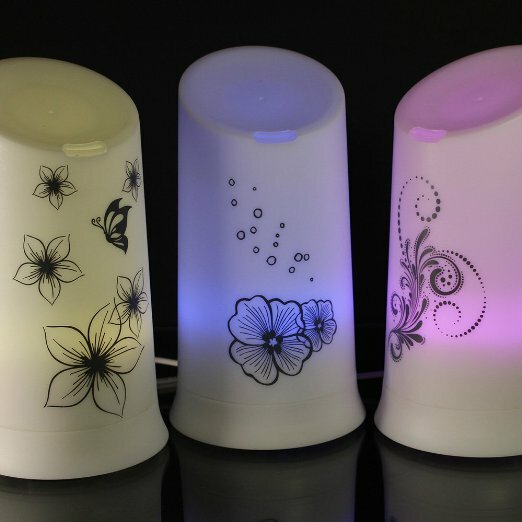 The stylish design, pretty decorative image, full controlled multicolored LED night light and the aroma surrounding altogether create a spa-like, romantic atmosphere for your relaxation, relief anxiety/stress. 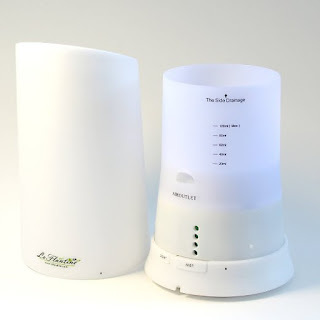 Whisper quite operating and the Waterless auto shut off system never break your calm. No heat. No special water need. Just Fill it, Plug it, and Press to begin the Enjoyment! 150 square feet is best for effectively covering the healing aroma. 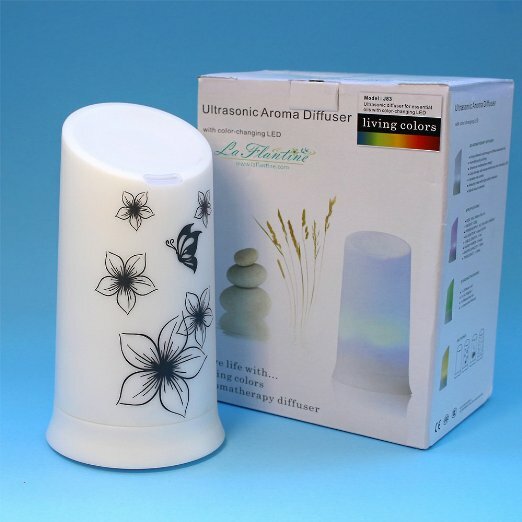 The unique, stylish way to bring the peaceful, soothing environment into your home or workplace. Do you know aroma can protect your health and also keep you good looking? 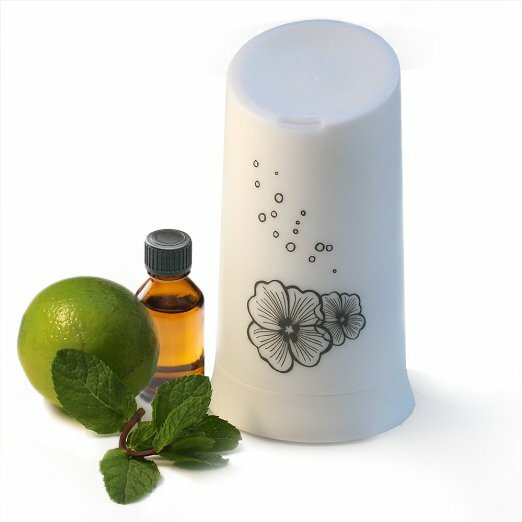 Today, it is easier than ever before to get wonderful benefits of essential oils. The scent of essential oils, as the primary healing agents of aromatherapy, works well on a cellular and physical level, and also in the emotional, intellectual, spiritual and aesthetic areas of your life. 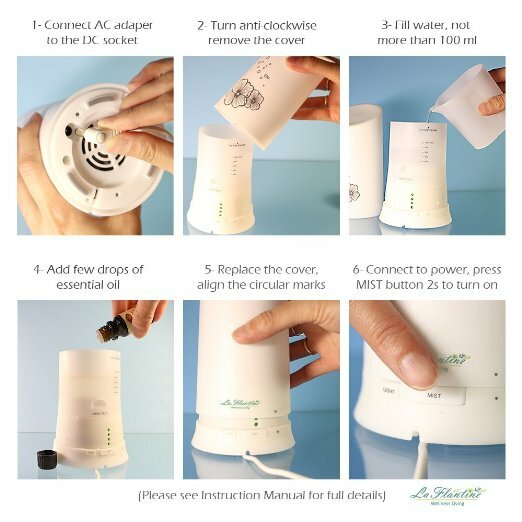 Using ultrasonic technology, the Laflantine Diffuser breaks the mixture of essential oils and water, without heating it, into millions of micro-particles and disperses it into the air. Depending on the essential oils you use, the aroma surrounding air can uplift your spirits, assist in relaxation, or ward off infections. • Timer settings 30/60/120/180 minutes. • Perfectly used in kitchen, bedroom, baby room, or in office, yoga corner, SPA area . 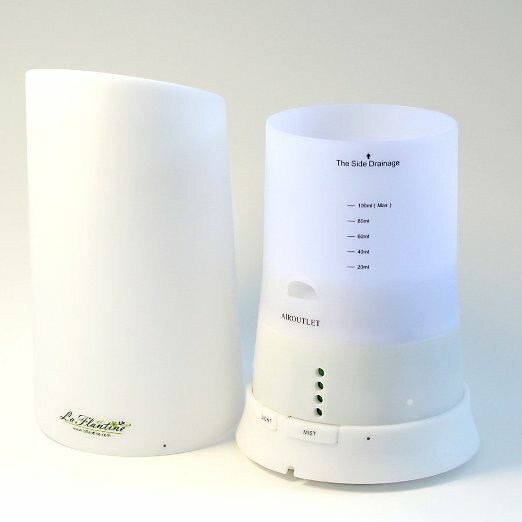 • Multifunctional device: aromatherapy diffuser, humidifier, air purifier, ionizer. • Multicolored LED light: Gradual Changing or Fix Mode. 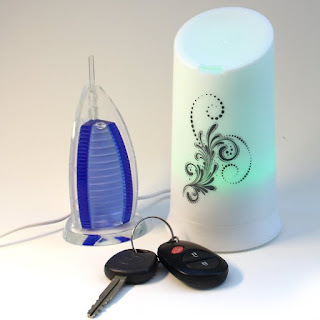 • Light-weight portable design, with beautiful decorative pattern. • Applicable coverage area: 150 - 200 square feet. • Duration time: 4 hours. Automatic shut-off feature when water level is low. I was very happy about getting to try the LaFlantine Aroma Essential Oil Diffuser Ultrasonic. This is my first electric oil diffuser so I was pretty excited about trying it out. I love using essential oils and I have several different kinds so I was ready to get started. I like that this diffuser is not too big so it fits nicely on my nightstand, end table or my mantle. I like that the inside has nice clear measurements printed on the container for easy use. I chose a citrus essential oil and it worked pretty well with this diffuser. I like that it is a nice soft mist, which is nice because my house is dry and the different colored lights makes a nice relaxing atmosphere.